As-salaamu `alaykum wa rahmatullah wa barakaatuh. A`oodhu billahi min ash-Shaytani ‘r-rajeem. Bismillahi 'r-Rahmani 'r-Raheem. nawaytu 'r-riyaada, nawaytu 's-salook, lillahi ta`ala al-`Azheem fee hadha 'l-masjid. Alhamdulillah, nasta`eenuhu wa nastaghfiruhu wa nastahdeeh wa na`oodhu billahi min shuroori anfusinaa wa sayyi’aati `amaalinaa, man yahdi Llahu fa-laa mudilla lah wa man yudlil fa laa haadiya lah, wa nashhadu an laa ilaaha illa ’Llah wahdahu laa shareeka lah wa laa matheela lahu fee `uloowi shaa’nihi wa `azheemi sultaanih wa nashhadu anna sayyidanaa wa mawlaanaa Muhammadan `abduhu wa habeebuhu wa rasooluh arsalahu rahmatan li ’l-`aalameen wa shafee`an li ’l-mudhnibeen wa habeeban li ’l-mu’mineen. Narju ’Llaha `azza wa-jall an yaj`alanaa min ahibbaa’i 'l-nabi (s) wa an yahshuranaa ma` al-habeebi 'l-mustafaa wa-an yajma`anaa bihi fee 'l-dunyaa qabla 'l-Akhirah wa fee 'l-Akhirah wa yarzuqanaa shafaa`atahu wa an yusharrifanaa bi-sharbatin hanee’atin maree’atin min kaa’sihi ‘sh-shareef wa min kawtharihi 'l-`azheem. Qaala Llahu ta`aalaa fee kitaabihi 'l-kareem. First, I would like to say that is my pleasure and my happiness to be with you tonight in this masjid. I am not someone worthy of your love, I am a sinful person. Our sins never end. The only one that doesn’t do sins is Sayyidina Muhammad (s), Sahaabatihi 'l-kiraam hum mahfoozhoon tahta 'l-himaaya, The Sahaabah (r) are protected. Prophets are infallible, ma`soomeen. Mahabbatukum allatee azhartumhaa la-naa, narju Llaha an yajma`anaa ma` al-habeeb al-mustafaa, haythu qaal. So that man, or Bedouin, coming and saying “yaa Muhammad, when is the Day of Judgement?” and Prophet didn’t answer, he continued the khutba because in the khutba you cannot stop, you have to continue. He said another time yaa Muhammad mataa 'l-sa`ah, and prophet didn’t answer, not because he doesn’t know. prophet knows everything. but he doesn’t respond because he’s on the minbar. when the khateeb is on the minbar he can only speak for naseehah. and jibreel came and said yaa Muhammad, Allah sends His salaams on you. What kind of happiness when Allah send salaams on Prophet and Sahaabah (r) sitting in front of him. imagine, imagine we can say yaa sayyidee yaa rasoolullah, yaa rahmatan li ’l-`aalameen, nazaran minka ilaynaa tuhyee quloobanaa. He looks at us, we hope that he be with us, and for sure he is watching us because Allah gave him that power. Do Jibreel came and said, “Yaa Muhammad, answer that Bedouin,” amrun ilaahi, Allah’s order to Prophet through Jibreel to answer that Bedouin coming from the desert. See how much Allah likes the Prophet’s humbleness! He didn’t say, “Muhammad (s), wait for the Bedouin”, He said “If you are asking for the Day of Judgement, what have you prepared for it?” Are we going to die? Is there anyone not going to die? No one. So what have we prepared for the Day of Judgement? That’s what we need to ask. Ask yourself, what have you prepared for the Day of Judgement? Did you prepare a lot of money in the bank or some jewelry to eat it in the grave? What have you prepared? We didn’t prepare anything! You cannot buy Jannah with money or jewelry, you buy it with salawaat on Prophet (s)! If you son asks you for something do you give it or not? you give it. So salawaat, you are asking Allah through the best of servants, s Muhammad (s). allah will not reject anything you ask through Prophet. Allah will accept anything that comes from prophet. so that Bedouin knew that he cannot go right or left, he has to go directly to the one whom Allah loves, as Imam Busairi said, huwa 'l-habeebu ’Lladhee turjaa shafaa`atuhu. From no one else Allah will accept his intercession except Prophet (s). So do we need the intercession of Prophet? Yes. Salloo `alayh. Allahumma salli `alaa Sayyidina Muhammad wa `alaa aali Muhammad. We come to what they have done in dunya and we throw it in their faces if Allah doesn’t want to accept. So this means we need to prepare something else. he said “yaa rasoolallah, not for too many prayers or fasts”, but one thing, it’s two letters in Arabic which makes a word. He said hubbuka yaa rasoolallah. Hubb. Haa and Baa. Two letters. This is what I prepared. What does it mean? It’s a famous hadith? what does hubb mean? It is two letters. The Haa came first, Baa came after. What comes first in our life? dunya. what comes after? Akhirah. Haa in Arabic is hayaat. Allah gives you hayaat, life. So I prepared yaa Rasoolullah life. I filled all my life with something that is special to me. And Baa is baqaa’. If you hayaat is good, you get baqaa’, ever living. I prepared my hayaat on one issue. I am not depending on my prayers or hajj or fasting or zakat. this is obligation. This I have to do it. No one can say I am fasting. Allah ordered you to fast. It is not a favour you are doing to Allah. You are doing your fard, your obligation. But what have you prepared from yourself? So I was filling my life, yaa Rasoolullah with hubb. I love you yaa Muhammad (s). People will be resurrected with whom they love. Whom do we love? Sayyidna Muhammad (s). Who loves sayyidina Muhammad raise their hands! Yaa Siddiq, yaa Siddiq, yaa Siddiq, yaa Farooq, yaa `Umar al-Farooq, yaa `Umar al-Farooq, yaa `Uthman, yaa `Uhman, yaa `Uthman, yaa `Ali, yaa `Ali, yaa `Ali! Shahi Mardan! Prophet (s) answered him by Allah’s ordered, look at Allah’s `azhamah. Prophet (s), [audience making a lot of noise] when they cut they cut the connection, some interruption it’s cut.  Unzhur mahabbat Allahi li-khalqihi, hubbu ’Llah (swt) for His servants. He ordered His Prophet to answer the Bedouin. When you say a Bedouin in your mind, he is the lowest of people. The first level that is poor, man in the desert, doesn’t know cities, he is in a village. To Allah (swt) laa farqa bayna `arabiyyin wa laa `ajamiyyin illa bi ’t-taqwaa. There is no difference between Arab and non-Arab except through righteousness, piety, sincerity. Allah loves that. That Bedouin was sincere when he was asking. Are we sincere? If we are sincere, let us ask! Hubbak yaa rasoolallah! Hubbak yaa rasoolallah! hubbak yaa rasoolallah! That’s what we need. Prophet said people will be with me. that’s what it means. Yuhsharu 'l-mar’u ma` man ahabb. The Bedouin wants to be with Prophet (s), so he will be with Prophet in the Day of Judgement. That’s why Prophet said khitaabun umumiy, a declaration for everyone that you will be resurrected with Prophet if you love him (s). We love you yaa sayyidee yaa Rasoolullah, nuhibbuka yaa rasoolallah, nuhibbuka yaa rasoolallah, nuhibbuka yaa rasoolallah! Yaa siddiq. Allahu akbar. Out of hubb miracles happen, sayyidatunaa Fatima al-Zahra, when her father s Muhammad Muhammad got sick, she was not sleeping, he was in his bed, the bed when he is going to al-rafeeq al-`alaa, to leave this dunya to go to Allah (swt). He was sweating and sweating and his daughter was rubbing the sweat and crying, crying, crying. Prophet looked at her and she was so much tears coming from her eyes for the love of sayyidina Muhammad (s). “My father, you are sayyid al-bashar, and I am your beloved daughter, how can I live after you?” Look at the love. Sayyida Ayesha was sitting and seeing what was going on and suddenly Prophet (s) said to her “approach me”, and Sayyida Fatima al-Zahra approached him and he put his mouth on her ear and he said something. Whoever sends one salawaat on me, Allah sends my soul back to me to make salawaat on them. Man sallaa `alayya radda Llahu `azza wa-jall roohee hatta usallee `alayh. Allah sends back my soul to my body in order to make salawaat on that person. What kind of salawaat? What is Allah’s salawaat? If he we say a salawaat Allah returns for us 10. 10 salawaat. Allah’s salawaat is not like our salawaat. Our salawaat might be thrown in our faces because it is like soup, mixed with everything, but Allah’s salawaat on us and Prophet’s salawaat on us are different. No one knows the rewards. For each salawaat Allah gives you different rewards, not the same. Not like a photocopy. 10 different salawaats, different from the first one, from the second one, from the third one. O mu’mins, O Muslims, they told me to only speak for 45 minutes and it’s already 45 minutes. They said that people want to have dhikr, I don’t know. Raise your hand if you want dhikr. I will begin the beginning and I will give Ali to continue.